CHRIST THE LORD: Out Of Egypt (co-screenwriter with Betsy Giffen Nowrasteh) – Based on the best-selling novel by the brilliant Anne Rice, this is the story of Jesus as a young seven-year-old boy. It is a beautiful story of miracles and dreams and the wonder of faith. The young boy, Jesus, has many questions that grow out of actions that he can not explain. These questions lead to a journey back to the Holy Land for the boy and his family — and it is there that he finds answers and the acceptance of his fate. 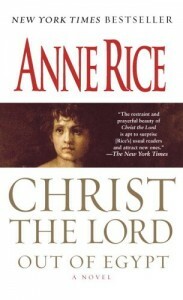 CHRIST THE LORD Out of Egypt came together after Anne Rice wrote a rave review of THE STONING OF SORAYA M. and the novel was subsequently sent by her agent to Cyrus and Betsy Giffen Nowrasteh. Cyrus Nowrasteh directs from a screenplay written with Betsy Giffen Nowrasteh. 1492 Pictures (Chris Columbus, Michael Barnathan, and Mark Radcliffe) and CJ Entertainment will produce. 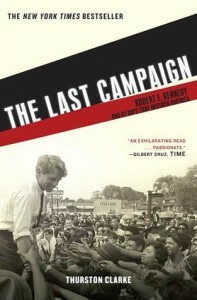 THE LAST CAMPAIGN (screenwriter also) – Based on the acclaimed book by Thurston Clarke, this is the true story of Robert F. Kennedy’s 82-day long-shot run for the Presidency in 1968. When Senator Robert F. Kennedy entered the presidential race during the chaotic year of 1968, anarchy appeared to be gathering on the horizon. America was coming to grips with an unwinnable war in Vietnam and unacceptable social policies at home. The Last Campaign examines Kennedy’s bold (and tragically shortened) efforts to awaken his country’s social conscience and moral sensibility. The intention here is to reveal a very human politician who often trembled at the podium and scanned crowds for an assassin’s glare. Though motivated to serve by an unwavering desire to help the poor and oppressed, Kennedy also lived with a deep fear that his life would be cut short by violence. “I’m afraid there are guns between me and the White House,” he prophetically remarked during the spring of ’68. Yet The Last Campaign chooses not to explore what could have been. Instead, this story focuses on what is certain: for an 82-day period, Kennedy “convinced millions of Americans that he was a good man, perhaps a great man.” Bradley Cooper (Hangover) is attached to play Robert Kennedy. Cyrus Nowrasteh will direct and write the screenplay. The film is to be produced by 1492 Pictures. THE BATTLE OF NEW ORLEANS (writer also) – This is the true, and little known story, from the War of 1812, when the very fate of America hung in the balance. The British have captured Washington D.C. and burned the White House to the ground. An unlikely hero, Andrew Jackson, steps forward answering his country’s call. Though weakened by a dueling wound, the bold patriot takes leave of his beloved wife to prepare defenses for the city of New Orleans. 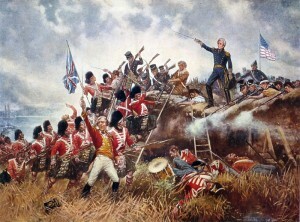 The world’s most powerful army, Britain’s finest who have just defeated Napoleon, have come to reclaim America by cutting off the Mississippi River at New Orleans. But Andrew Jackson assembles an army of Pirates, Indians, Blacks, Creoles, and Frontiersman — as diverse an army as has ever been created — and leads America to an unlikely victory. This is a powerful and dramatic story, an American ‘300’, and Gerard Butler is attached to portray Andrew Jackson. Cyrus Nowrasteh will direct from his own script and Alan Siegel will produce. CHEMICAL COWBOYS – A true Story about two Undercover DEA agents, one a hard-nosed family man, the other a maverick with questionable, personal ties to the drug underworld. A tip from an informant sends them down a surreal path through the New York underground club scene, a network of drug dealers in Miami, Los Angeles and Pittsburgh and onto a complex global labyrinth of Ecstasy drug producers and financial operations headed by an untouchable Israeli Mafioso drug kingpin mastermind that ultimately links the ecstasy trade to the funding of Al Qaeda and global terrorism. 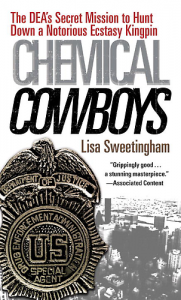 Based on the book by Lisa Sweetingham, Chemical Cowboys is a 21st Century FRENCH CONNECTION that rips back the layers of a never before seen globe-spanning, high-stakes DEA investigation. All from the point of view of the two agents who were at the center of the investigation and fearlessly and relentlessly propelled it into becoming one of the most important, far-reaching and relevant cases of our time. Cyrus is writing this as a longform miniseries for producer Lloyd Levin (Watchmen, United 93, Green Zone). 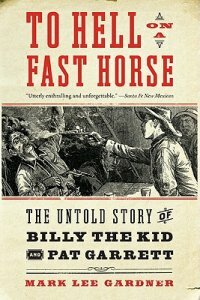 TO HELL ON A FAST HORSE – Based on Mark Lee Gardner’s award-winning bestseller, this is the true story of Pat Garrett & Billy the Kid. This story will recreate the thrilling manhunt for the Wild West’s most iconic outlaw. It is also the first dual biography of the Kid and Garrett, each a larger-than-life figure who would not have become legendary without the other. This is being developed as a 4-hour miniseries for the History Channel.